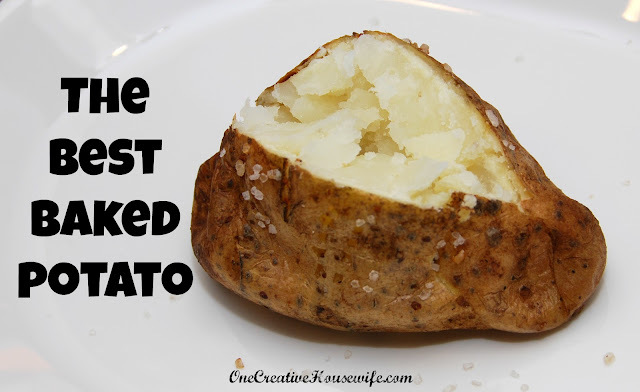 Usually when we make baked potatoes they are not well planned out, and usually end up being made in the microwave. When I do plan ahead for them I actually bake them and the potatoes have the crispiest, most delicious skin, and the fluffiest insides. 2. Wash the potatoes to remove the dirt. 3. 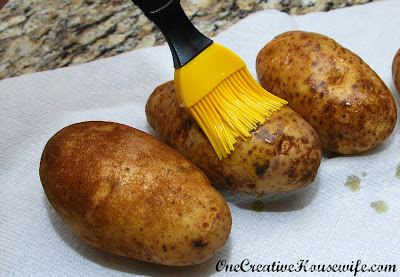 Dry the potatoes with a paper towel. 4. Pierce the potatoes with a fork several times on each side. 5. Coat the potatoes with olive oil. I like to brush it on. 6. 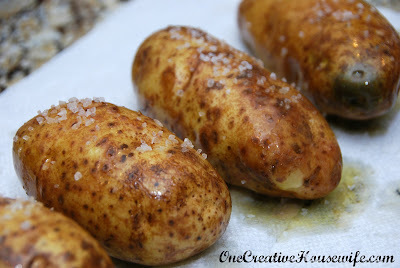 Sprinkle the potatoes with sea salt. 7. 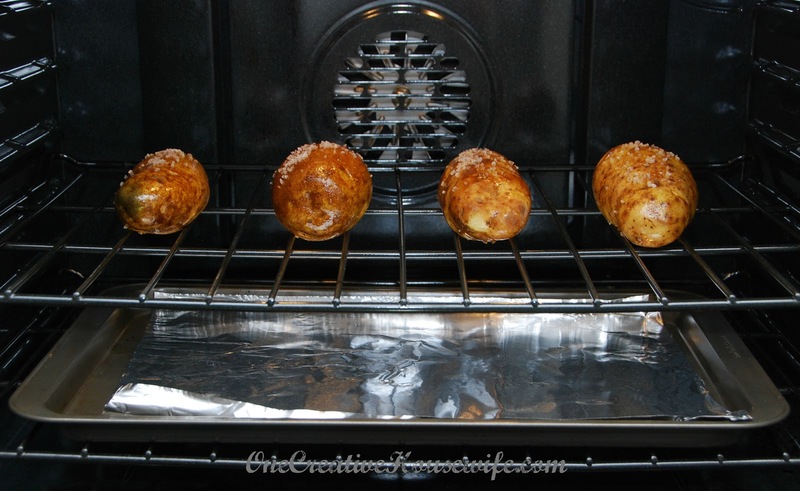 Place the potatoes on the rack in your oven, with a baking sheet on the shelf under them. 8. Bake the potatoes for about 60 minutes. 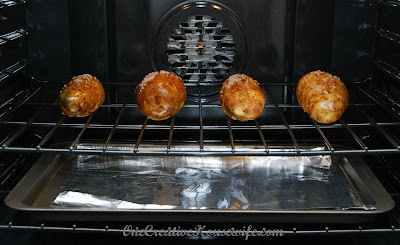 The potatoes are done baking when the can be easily pierced with a fork. 9. Remove the potatoes from the oven and allow them to cool about 10 minutes. 11. Smoosh the sides in. 12. Add your toppings and enjoy!! Thanks and thanks for the invite! !